On the Topic of Seaworld and Blashfish- Part 2..
Folks, I've said it before and I'll keep saying it- You have to look at both side with a very open mind and a lot of speculation. Don't take anything as the gospel truth, read and learn for yourself before making gut reaction decisions. Yet "Gut Emotion Reaction" is 95% of what I see when people start in on the topics of Seaworld, Tillikum and Blackfish. Seeing one film simply gives you the opinion of the director and editors. You see and hear only what they want you too, it's never the full story. Frankly, I don't think a "true story" exists as they will all be colored with someone's opinion. 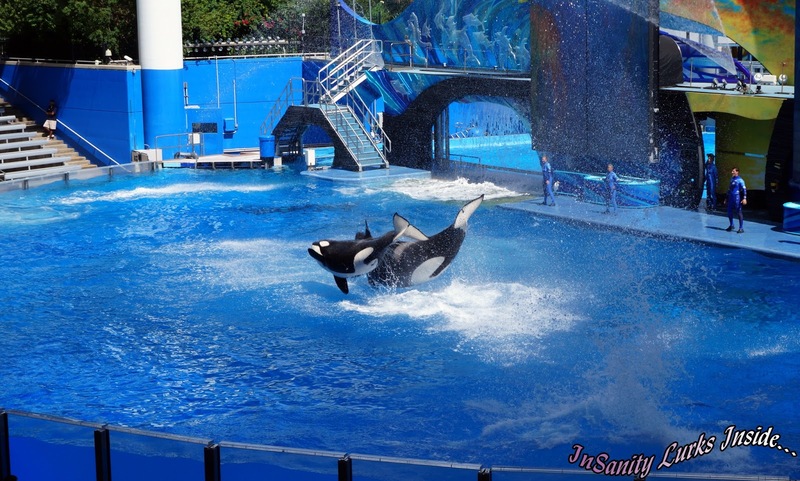 I'm writing this as part of my own ongoing research about Blackfish and Seaworld, as recently I was lucky enough to be in contact with Joe Kleiman of Themed Reality. He's another blogger with ties to Seaworld and the Theme Park/Amusement Park world who, like me, has been trying to unravel the twisted web surrounding Blackfish. He's written a very nice, well worded piece about Blackfish called "Dissecting Blackfish" which looks into the film and how it's been slanted to give you that gut reaction. I'd like to urge everyone to read through it, not just to uncover much of the "smoke and mirrors" used surrounding Blackfish but also to see how much was left out or changed to sway you to their side of this ongoing argument. I continue to urge all of you to keep looking, keep reading and keep learning about these animals. Look at both sides to figure out where you want to stand on the topic.